Auburn University is participating in the National Science Foundation Alliance for Graduate Education and the Professoriate (NSF AGEP) through T-PAC: Tuskegee Alliance to Forge Pathways to Academic Careers in STEM. 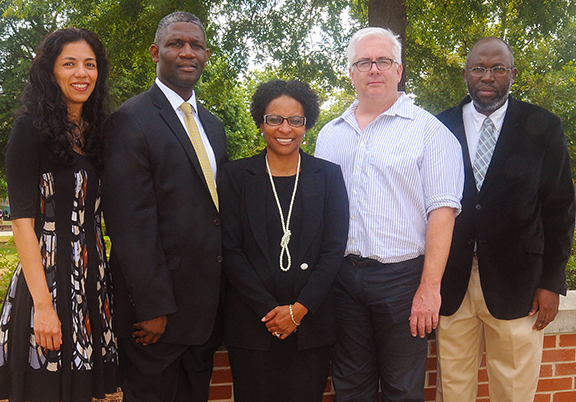 T-PAC is a collaborative effort among three doctoral-granting institutions in the state of Alabama: Tuskegee University, Alabama State University, and Auburn University. Supporting partners are Auburn University’s Biggio Center for the Enhancement of Teaching and Learning and the Miller Writing Center. A goal is to recruit first-year doctoral students to become T-PAC Scholars. Read more about our grant.